Today's favorite post comes from our new Marketing Manager, Jackie Voutsinas. Jackie is responsible for taking our marketing efforts up a couple of notches. Jackie is managing our new Twitter account, @DemandCreator, as well as this blog. She will also be writing content for us in 2014. We've got several new initiatives planned, so stay tuned and follow Jackie. Jackie herself admits her surprise in selecting Imperfect Content as one of her favorite posts. But, as her short-time here proves, while she fully believes that the "devil is in the details," she knows not to get hung up on the little things either. Quality and authenticity should drive the effort, and any time you try to do something special, you're going to make some mistakes. PS - For those celebrating, have a Merry Christmas. For those not, enjoy some Chinese food and a movie. Over the last eight years, I bet I have published more than 1000 pieces of content. Between my blog, columns I write for magazines, guest blog posts I write for other blog sites and magazines, I put out a lot of content. Frankly, it's one of the major advantages I’ve had in growing my business. A few years ago I quantified the impact of my blog alone and valued it to create more than $2 million of documented value for my company. On top of that I've won many awards and gotten quite a bit of press for the blogging and publishing that I’ve done. I’ve done this while leading a growing company, speaking on a regular basis, coaching a college and youth baseball team, and spending quality time with my wife and two kids. I don’t work 80-hour workweeks, and I take the vast majority of weekends completely off. While I am certainly comfortable writing, and admittedly I write pretty fast, the reality is that I have no special power when it comes to writing, creating or publishing content. What’s my secret? I’m completely comfortable putting out imperfect content. Is the idea fully, totally and accurately communicated. Is the article/post/paper too long? Too short? Are the pictures the best we can do? Is there 100% chance that there are no typos or problems with sentence structure? Several years ago I wrote a little book calling Building The Bridge. It was my first attempt at writing a parable. I wrote it, had it designed, edited, published and printed all in house. In hindsight the dimensions of the book were too small. There were some typos in the book. The design was rudimentary. And, as it turned out, the biggest mistake was that I didn’t print enough of them. Sure some people complained about the style of the book. Others said they’d never buy from someone who would publish a book that has typos. While I certainly don’t celebrate those mistakes (and we work really hard to fix them and make sure they don’t happen again), I do celebrate the more than $500,000 of revenue that the book directly contributed to creating. While others are fretting over what they’re saying and how they’re saying it, I was earning more than a half-a-million dollars. The point here is that the value of your content builds over time. You readers (customers) are not experts, and in most cases have desire to become experts. The primary job for content is to put it forth consistently and ensure that it’s easy to consume (and even entertaining). You’re not going to tell your story in one post. You’re not going to change your prospect’s worldview with one article. 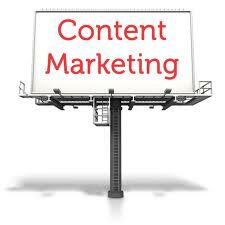 The job of your content is to tell your story and influence your market over time. Remember, perfection is the enemy of progress, and if you focus on making sure “it’s right” before it goes out, you’re going to get beat by someone who moves quicker.